Spring is in the air! And in six weeks we’ll be back out on the Prospect Park Croquet Lawn by the Picnic House to kick off the 2016 Brooklyn Croquet & Hunt* Club season. Mark your calendars, plan your April white attire, and we hope you’ll come join us in kicking off our third season of croquet in Prospect Park. 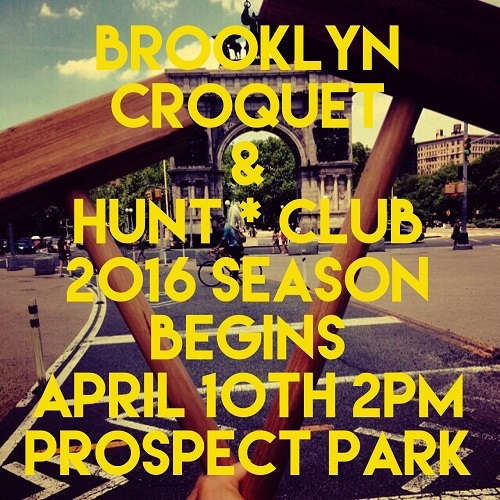 Our upcoming season for the Brooklyn Croquet & Hunt* Club will be starting on April 10th this year. It is our third season playing in Prospect Park by the Picnic House just a little ways away from where the old Croquet Lawns and Croquet Clubhouse used to be. As always, our club is free and open to all who want to come play and we provide all the equipment. Stay tuned for further 2016 BC&H*C season details. 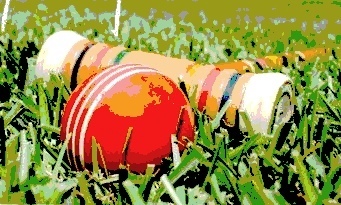 We’re @brooklyncroquet on Instagram and Twitter as well as brooklyncroquet.org and Facebook. Images copyright © 2016 Brooklyn Croquet & Hunt* Club, All rights reserved.